Have you been arduously searching Google for the best Bournemouth scaffolding services on the market? If so, Pro Roofing is the only one distinguished local specialist that you need to call today on 01202 518 763. With over thirty plus years of roofing and scaffolding experience combined with a reputation for excellence that precedes us across the entirety of the South of England, we’re the obvious choice for scaffolding services in Bournemouth. So, what are you waiting for? To find out more about the greatest scaffolding services Bournemouth offers, contact us now. Looking for the most premium scaffolding services Bournemouth can offer? If you are having any building works or general construction done on your property, you’re going to want to find a well-regarded, safety conscious and reputable company to erect your site scaffolding. It’s imperative to the safety of the tradespeople working on the site as well as anyone who may have temporary interaction with the site to find a company you can entrust. When searching for an acclaimed and well-established roofing company who’s known for providing the best scaffolding services Bournemouth has to offer, you’ll be hard-pressed to find a more acclaimed alternative to Pro-Roofing. Please continue reading to find out more about our stellar Bournemouth scaffolding services. What distinguishes our services from those of our competitors is that instead of using scaffolding contractors, we have a dedicated in-house scaffolding division who assists with all roofing projects – it certainly does pay to enlist expert support. This is advantageous because it enables us to maintain direct control over each specific element of your project which ensures that the highest standards of safety are achieved at all times. Another benefit is that using in-house scaffolding services, we can drastically reduce the amount of time spent waiting around for different contractors to arrive. We can easily install all of the necessary scaffolding and get to work almost immediately after it is installed and safety checked. As well as scaffolding for own projects, we also offer our first-class services to other businesses. No matter the size, scale or complexity of your project, our expert scaffolding team can provide uniquely designed scaffolding solutions that cater to your precise requirements, needs and budget. 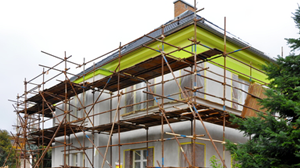 Whether you are undertaking a loft conversion, re-decorating, working on a new build or installing a brand new extension, our second-to-none scaffolding services could be of use. We pride ourselves on our stellar reputation for high-quality workmanship, reliability and of course, for our customer service excellence. So, should you have any unanswered questions or queries regarding our scaffolding facilities, please do not be tentative about getting in contact – our wealth of expertise is only a phone call away. 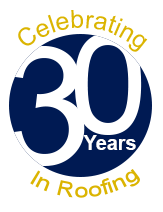 With over 30 years of experience in the roofing industry, combined with our all-encompassing trade knowledge, it should come as no great surprise that we’re the most sought-after company for scaffolding in Bournemouth. In addition, with our entirely FREE of charge no-obligation quotation service, you have absolutely nothing to lose and everything to gain from giving our specialist team a call today. Do you still need convincing that for the best scaffolding services Bournemouth has to offer, we are the stand out company to call? If so, we highly encourage you to familiarise yourself with some of the feedback we have received from our plethora of clients from all over the South Coast. Please do not merely take our word for it that we’re the best in business, listen to what our existing clients are saying about us and our facilities – let our testimonials speak for themselves. Your search for the most exceptional Bournemouth scaffolding services is over now that you’ve discovered the distinguished reputation, high-quality facilities and ultra-competitive prices offered by Pro Roofing. For unparalleled scaffolding services in Bournemouth which are second-to-none across the entirety of the South Coast of England, for an unrivalled price, contact us now. Register your interest in our scaffolding services Bournemouth by calling us on 01202 518 763 or by emailing us at office@pro-roofing.co.uk. Alternatively, you send us your inquiry by filling out the contact form on our website.